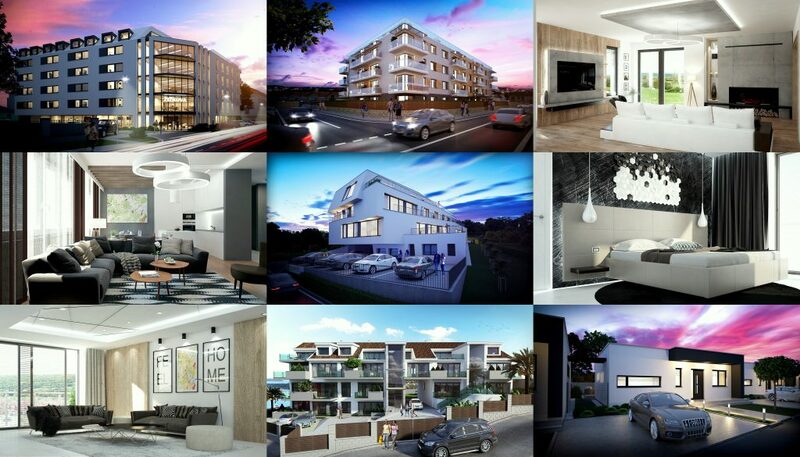 Based on the fact that the majority of development projects begin to sell real estate a year, sometimes even more years before their actual realization, it is first and foremost necessary to process a high quality and representative 3D visualizations of a real estate. Since clients can not realistically see a real estate, 3D visualization must show as closely as possible the look of the future property. Last but not least, the 3D visualizations must capture the client at first sight by their high-quality graphics processing. Let’s not forget that 3D visualization is the first thing the client sees, which can capture or discourage him from further interest. The first and most fundamental mistake of developer projects’ marketing is the underestimation of the quality of 3D visualizations. It is important to realize that 3D visualization is a key marketing tool, since only after its processing it is possible to start presenting the project on the web page, social networks, media, billboards, flyers, etc. Each of these marketing tools will be displayed in 3D visualization. Here we could talk about two groups of 3D visualizations, both exterior and interior. Modern and now widely available virtual reality technologies(VIDEO) allow marketing tools for development projects to move to a new level. 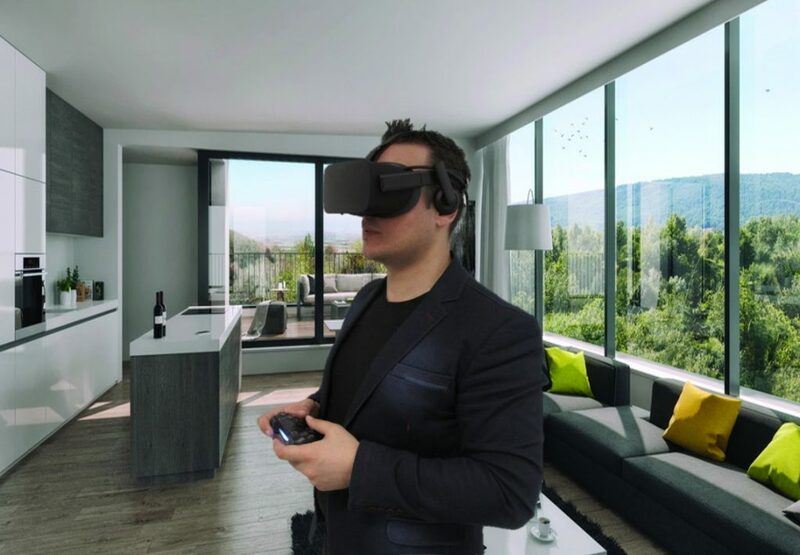 Technologies such as Oculus Rift or Samsung Gear allow real estate buyers to view a real estate much more intuitively and realistically than just on 3D visualization. 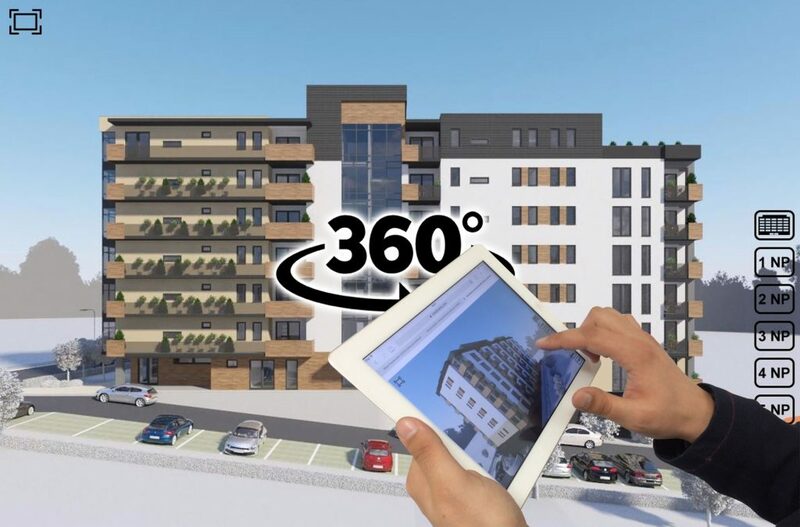 They can move around the real estate (not yet realized), perceive the view from each window or balconies and terraces thanks to the photos from drone, perceive the interior lighting and the amount of light in each room thanks to the simulation of the sun in every season and phase of the day and also download applications of development projects from Google Store and Apple Store. 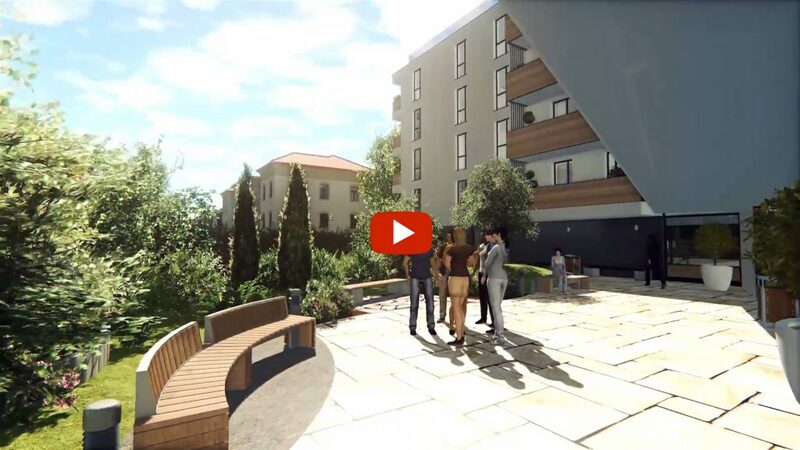 A view from the terrace, the sun’s interior behavior and orientation are important information that clients require from a developer before investing in the real estate (which will actually not exist for several months / years, so the client can not verify this information other way than virtual reality). 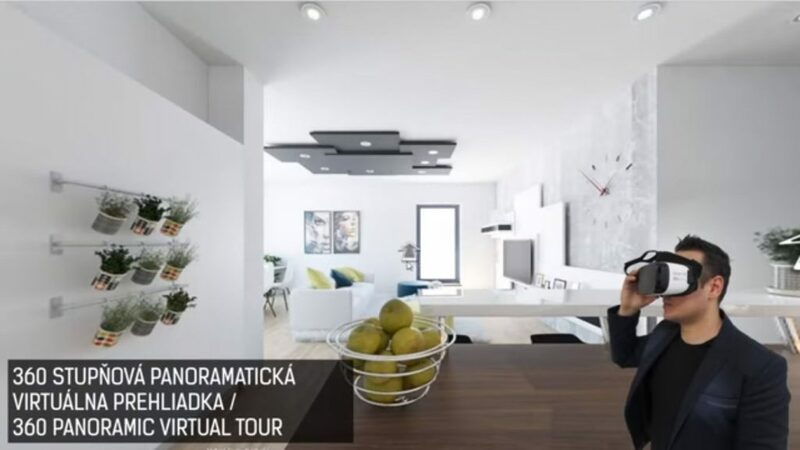 Virtual tours based on the semi-interactive virtual reality are today the most affordable and cheapest solution for presenting real estate to clients in dynamic form (not just in static form through images). 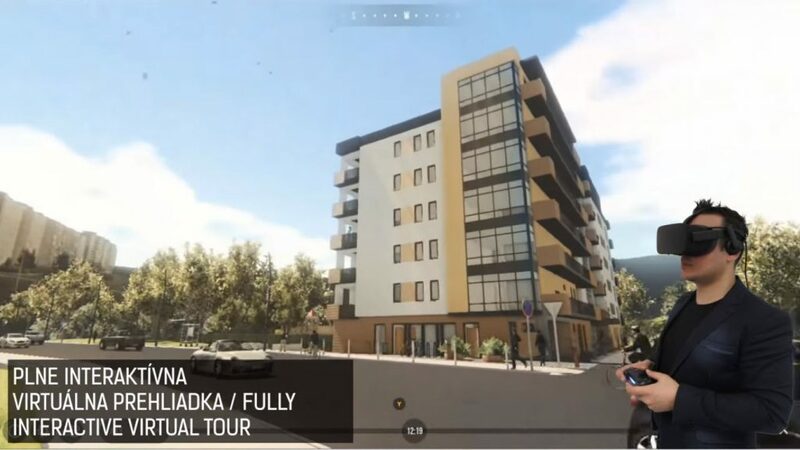 In this virtual tour, the client can have free view from prepare preset point in the interior or exterior, and can move to the other prepare points in the area. The advantages of semi-interactive tour are excellent graphics, low-cost parameters of the devices on which it is running, compatibility with each operating system and every device (PC, Mac, mobile, tablets). This application can be run from an Internet browser (Google Chrome, Internet Explorer, Opera, Mozilla Firefox, ..) as well as on a mobile phone (Android, iOS, Daydream) and, of course, also on virtual reality HMD devices (Samsung Gear VR, Oculus Rift, HTC Vive, Goole Cardboard). Therefore, a developer’s project can have its own mobile app on Google Store and Apple Store, which gives the project a good image. Why is a fully-interactive virtual tour important for presentation? This form of virtual tour is technically and financially more demanding due to its full interactivity and functionality. 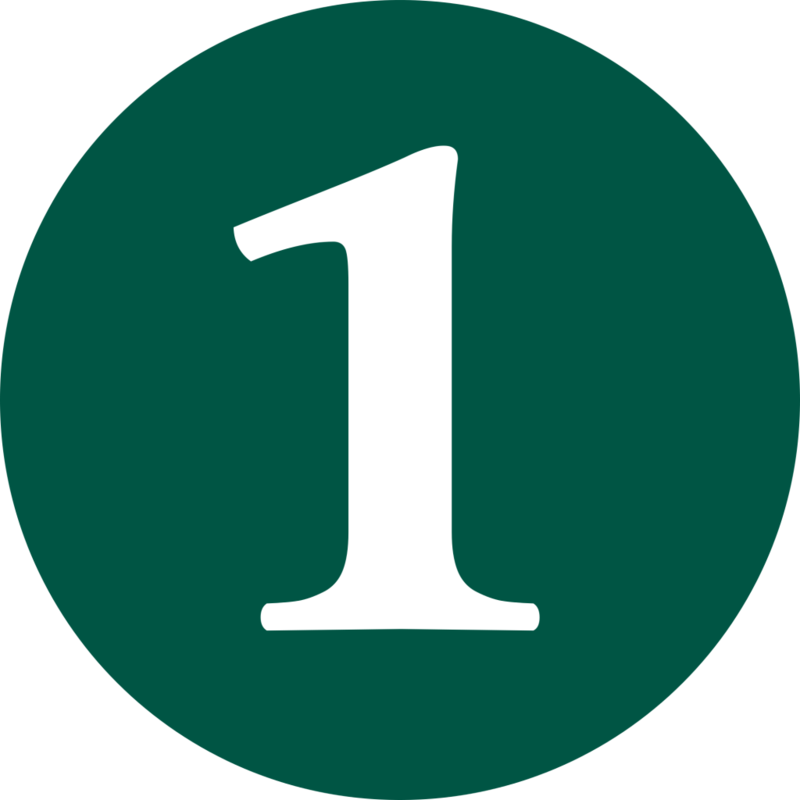 However, it offers an irreplaceable experience that the client can experience through this tour. The client can move around the exterior and the interior of an unrealized project completely freely(VIDEO). The client can come into every room, perceive their proportions, illuminate them at different seasons and time (thanks to the simulation of the sun), perceive the view from each window (thanks to the drones) and the orientation of the apartment or the house itself. All this is possible with the head-mounted display for virtual reality. 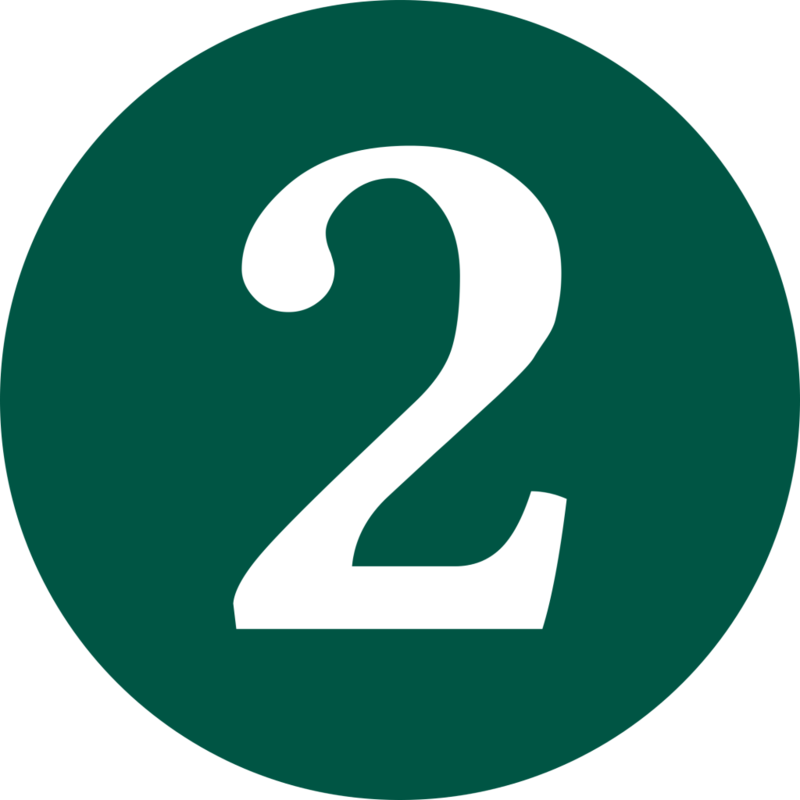 -In each apartment there is an information board with the information about apartment price, flat area, flat orientation, etc. Since we deal with the areas of virtual reality at academic level (development, publishing in professional journals, lectures, trainings, etc. ), we are able to bring our clients the most appropriate solution to the use of this modern technology for their particular project and requirements. Thanks to our approach and solutions, we have won several awards (Student Entrepreneur 2014, MasterCard for Innovation 2014, TOP 5 Young Innovative Entrepreneur 2017 etc.). Our apps are used by developers or on their websites and social networks, as well as at their sales points and exhibitions where clients, via mobile (tablet) or virtual reality display devices (Oculus Rift, HTC Vive) freely walk through the exterior and interior of the property, and thus they perceive it realistically.